This year I participated in all aspects of Buckeyethon. I pledged and raised $601 for the event and was a member of our DSWS team wearing Orange attending the Grey day shift on Saturday. I loved the event and realizing how much good it does for families and children that are tragically diagnosed with cancer and similar diseases and afflictions. I actually was at 100% of Buckeyethon for both shifts. I am an Audio-Visual Technician at the Union so I was on duty for the entire Scarlet shift. It was at this point where I enjoyed the event the most and truly felt like a Buckeye. I worked the audio console for the Great Hall and the best part of that was playing each honored child’s theme song as they ran down the red carpet with Brutus. After that the rave hour when you are exhausted but have hit a huge pump of adrenaline was exciting as a tech, I got to dance around with my managers and coworkers. The scarlet shift is absolutely electric. It is much better than the grey shift and has twice the amount of participants. 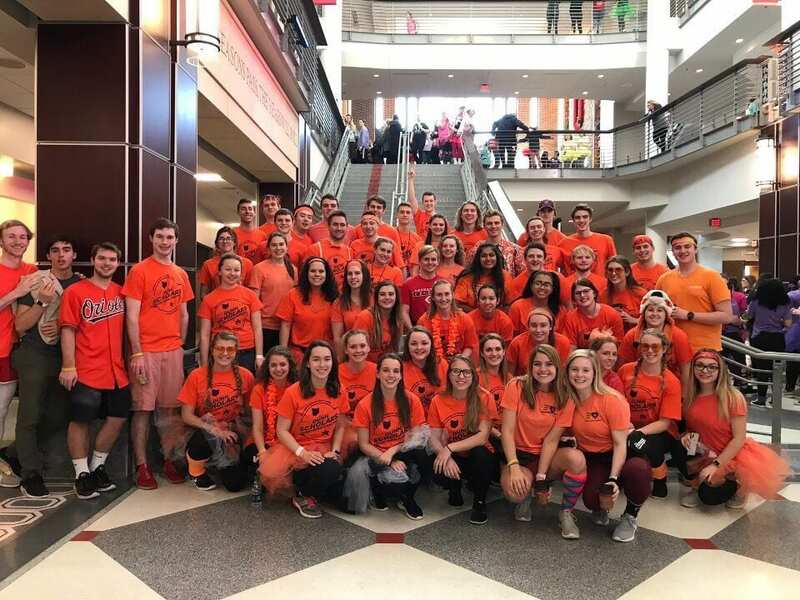 Buckeyethon reminded me of how much work my grandmother had put into that hospital and how it is a beacon of hope for families all over the country. 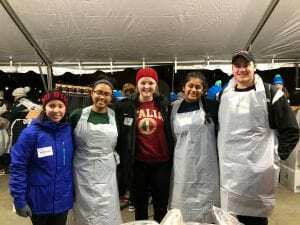 I got the 2nd half of my semester volunteer hours (6 hours, 5:45am – 12pm) volunteering for Downtown Columbus’s Hot Chocolate Run on Sunday November 18th. This was a fundraiser put on by Allstate Insurance and the Make A Wish Foundation. I volunteered with my fellow scholars, Amanda Acosta, Jordan Ndeli, Madhurima Kota, and Anna Mattei. We were on the chocolate mug duty, which entailed us to fill the goody mugs with chocolate fondue, wafers, bananas, marshmallows, and hot chocolate. Once the goody mugs were filled, they were given to the runners at the finish line tent as a celebration. 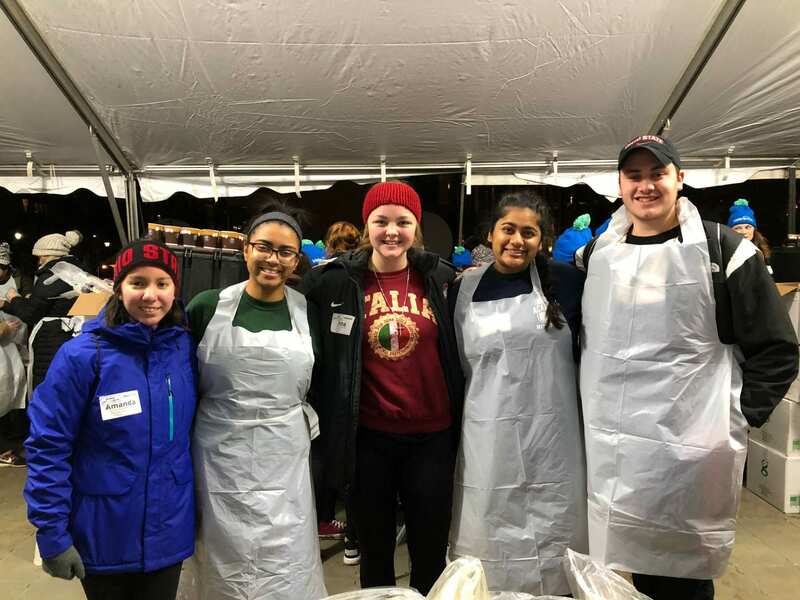 This event was a lot of fun because everyone was cheery and many of the volunteers in the tent were Ohio State students! 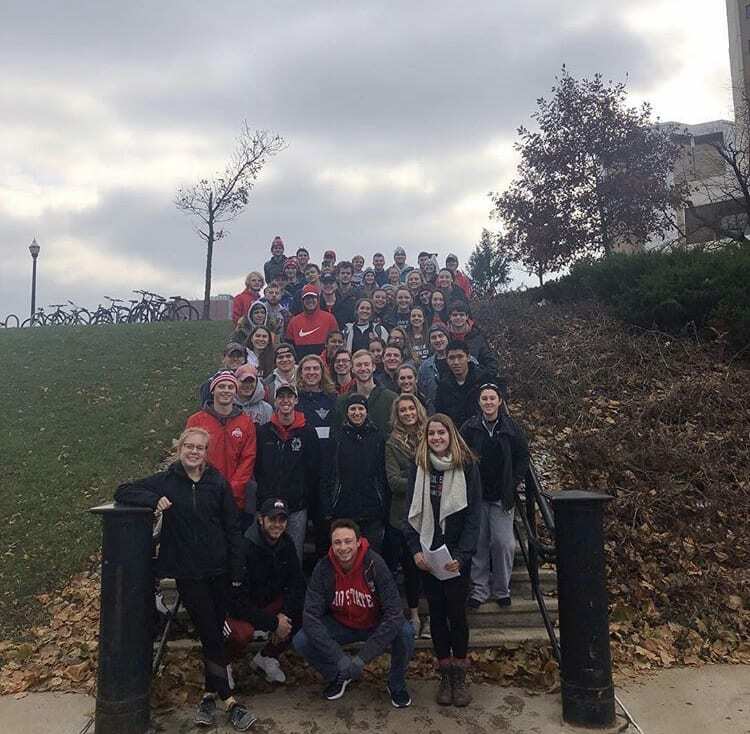 For my first 5 volunteering hours of the semester were completed during the DSWS Day of Service on Saturday November 17th from 12-5pm. I was in the group that helped the Rock City Church’s Dream Center initiative. 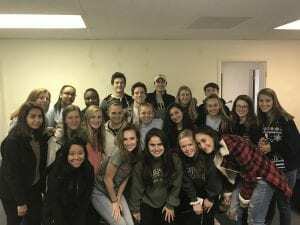 This was the group that was hosting a Thanksgiving meal for low-income and homeless Columbus citizens. At the church, my group helped fill and organize the goody bags that would be given to all of the people who attended the thanksgiving dinner. The bags were filled with socks, toothpaste, toothbrush, soap, etc. 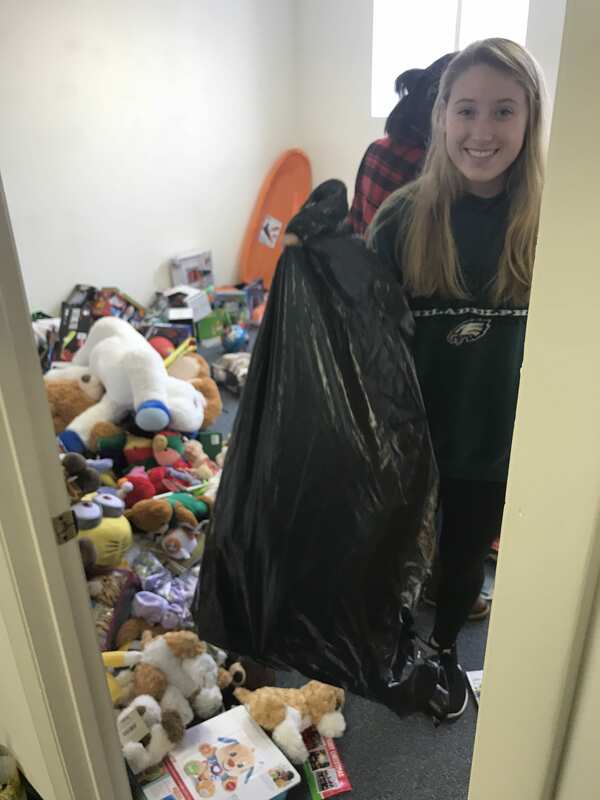 After we filled the bags we organized their storage room which had toiletries and non-perishables, along with a lot of coats. Around 3pm we then mobilized into some neighborhoods nearby and passed out the flyers notifying people of the free thanksgiving dinners. I really enjoyed this service opportunity and it reminded me how much I loved volunteering in high school. 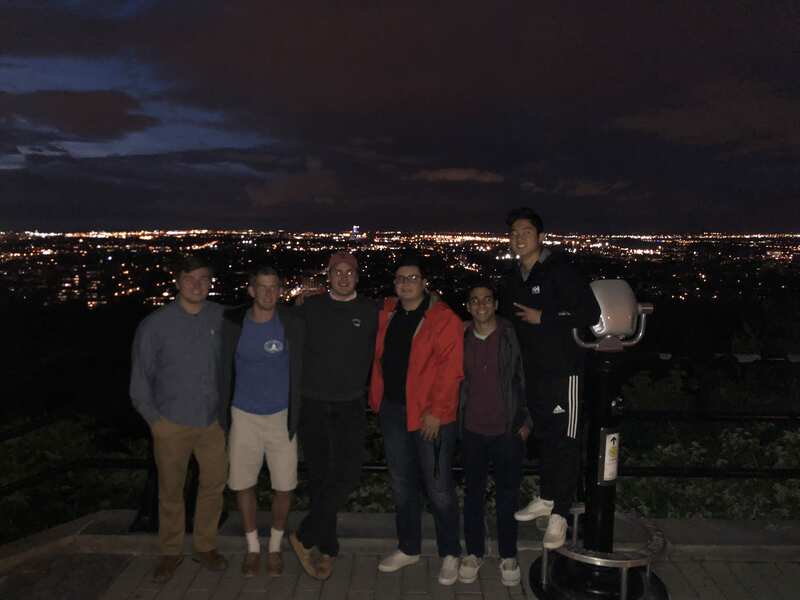 I will be looking to join a service group on campus next semester, or try and implement a service aspect into an organization that I will be involved in after next semester. My first track group meeting was on Thursday Oct 25th at 7-8pm in the RPAC meeting rooms. I am in the business track group, which is led by Emily Callicotte, Alex Rowland, Mackenzie Wells, and Abigail Schmitt. For our first meeting we just got to know each other and the leaders talked about their experience so far in Fisher. They gave us a document with class suggestions that are both interesting and will help to make our course load lighter. I am excited to learn from these upperclassmen about the inner workings of Fisher and how to be successful in our majors! The true colors activity done in our leadership class was very interesting to see how my fellow scholars panned out. 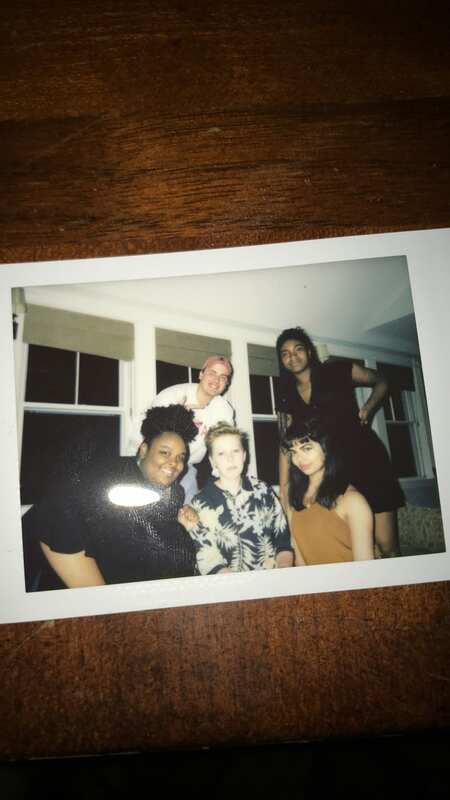 I had preconceived notions of which color that many of my peers would identify with. Maybe A was Orange when I actually thought they would be Blue based on previous interactions, meanwhile B I thought to be Yellow and they in fact were! Taking the indicator exam which was a scale based on groupings of adjectives was a successful determinant for which colors people act as. I tied between Blue and Orange which meant that I was very in tune with my emotions, crave deep bonds, and tried to be a ball of radiating positivity. However I also spend just as much effort into being open-minded, skillful, and considerate of others. I’ve already been applying this to our playful Dunn Scholars community. I am always roaming from Morrill’s suites on our exclusive 13th floor, doing my best to engage with everyone in the program. People will call my name as I walk to the door and ask how I am, prompting the memorable “Sensational” response they hear in return. I love discussing most anything will my fellow mates and learning of their viewpoints in relation to my own. This helps me to become more considerate and insightful in my goal of becoming Well-Rounded and a positive contributor to the Dunn Scholars community. I believe I’ve had a very special and unique high school experience. 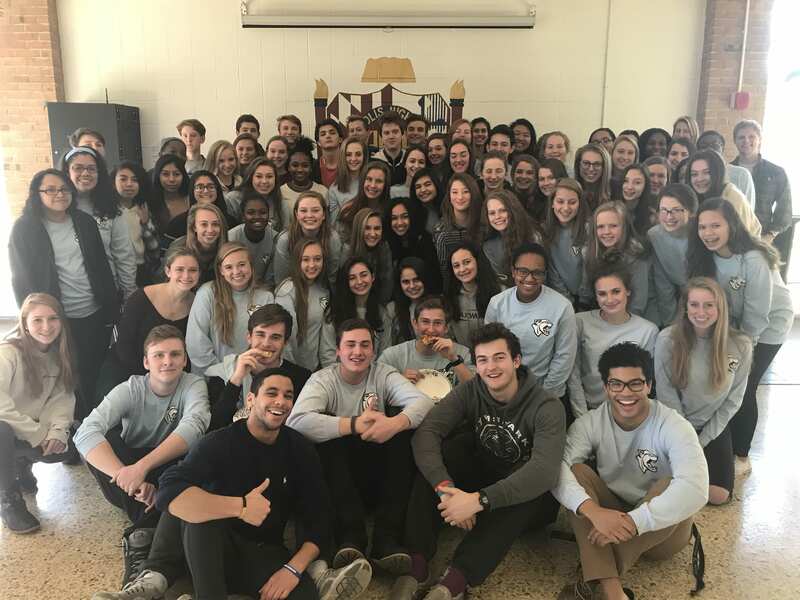 One of the organizations and activities I devoted a heaping amount of tine to was the rebuilding of Annapolis High School’s Key Club. I joined sophomore year with 15 students and then the club fell with a massive staff turnover, yet by Senior Graduation, I was the president watching over 132 recognized members. It even earned me recognition from The City’s Humanitarian Commission and US Senator Chris Van Hollen. I learned an absolute ton about who I am as a person, and all of the different types of people that I am around. My most coveted event was the Santa Run which was an exciting toy drive I started, jointed with the Annapolis Fire Department. This past Christmas was our 3rd annual one. We’d raised either 1 or 2,000 toys, and then our 25 most dedicated members were selected to become “Elves” at “Santa’s Workshop” (a big secret warehouse where the toys were stored). There every person would get a child’s age and gend and pick 1 big item, and 2 small things to add to their Christmas bag. It’s the most talked about event and every participant is always elated. It’s Leadership because I was the President of the club and the organizer. It’s also leadership because I was setting an example for the underclassmen on events they can do to become involved in their community and give back! 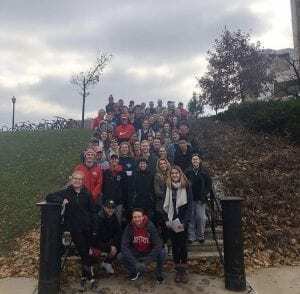 All the Key Club Members who attended the 2017 Santa Run. 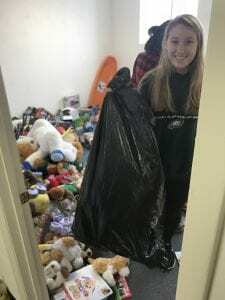 Key Club’s Vice President Allie picking out stuffed animals. I’m Warren Baltimore III! I am absolutely excited to start my freshman year at THE Ohio State University. 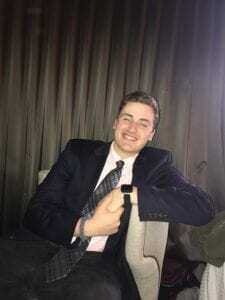 I’m currently majoring in International Business, hoping to Double with Public Management, Leadership, and Policy. I’m not too sure what I’d like to do after graduation, but surely something that includes Business and Politics, I’ve always joked I’d be content as long as I have “Executive” in my title. 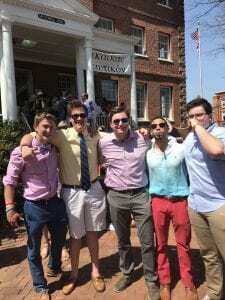 Croquet 2018 (Navy Mids vs. Johnnies) at St. Johns College in Annapolis, MD. 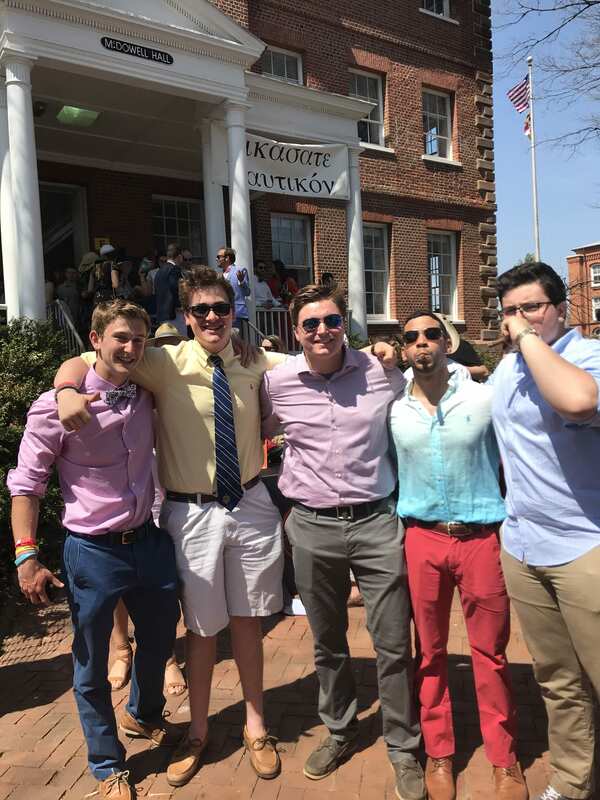 Growing up in Annapolis, MD and attending Annapolis High School, I was heavily involved in the surrounding community. I helped grow and lead my schools community service club “Key Club” (graduating strong as President). Heavily involved in our Drama Co, ranging from acting, to set construction, to sound technician. 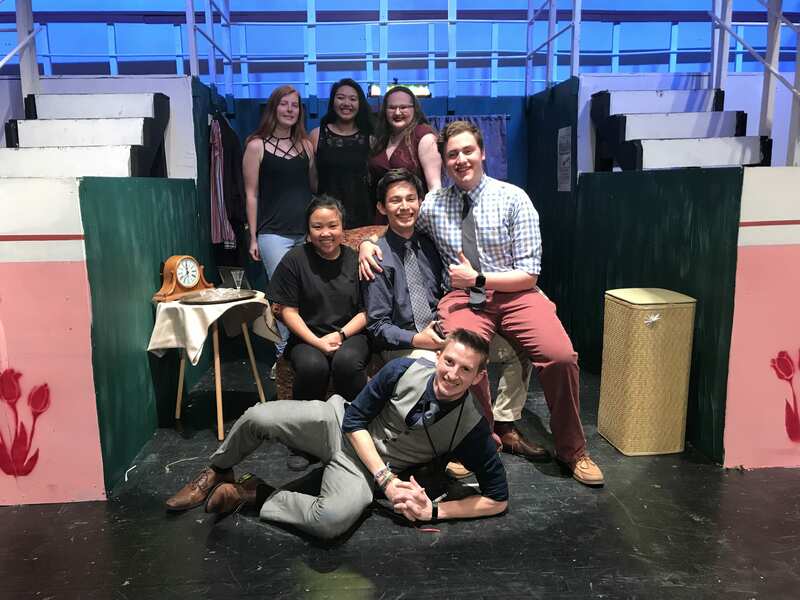 In total I played a heavy role in 12 shows over my 4 years, in fact my intrigue in sound editing has grown, maybe you’ll see me as a sound technician at the Student Union! I was Parliamentarian for Future Business Leaders of America (FBLA), placing at State competitions in “Financial Math” long with “Marketing”. I even placed 1st in “Business Ethics” earlier this year. Drama Co. Tech Booth Spring 2018 Squad. Lastly is my connection to sports. I’d been on my schools Tennis team since sophomore year, playing Varsity my senior year, having the best record on the team: Undefeated (1-0 so it’s nothing too crazy)! I also was the Team Manager. I certainly enjoy watching sports and don’t get it twisted, the football games are what I’m most excited for! However I sort of stumbled upon Dunn Sports & Wellness and it seems like a great time. 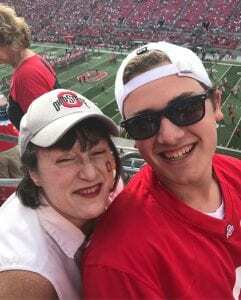 Mom and I at the 2017 OSU Vs. UMD game. Outside of school I hold a seasonal job at the US Naval Academy as Waitstaff for their Officers Club. I’ve spent all of my summers with my Grandmother on Nantucket, MA , a beautiful little island. There I held jobs as a Team Leader for a children’s theater camp at the Nantucket Dreamland Film & Cultural Center for 3 summers. I also was on floor staff for the Dreamlands film operations during 2 concurring summers. I also attended and volunteered for the Nantucket Film Festival. After a lot of networking, I was able to sling a paying position with them this previous June as their VR Coordinator and Legacy Lounge Venue Manager! I’m hoping to be hired again in an even higher position next summer. It was an amazing week of networking. I absolutely love Music and TV/Movies. Currently my favorite Movie is Interstellar. Favorite TV shows are Westworld and The Office. Favorite album would be SYRE by Jaden Smith, but I love lots of genres and artists including but certainly not limited to: Jaden Smith, Drake, The Weeknd, The Neighbourhood, Zeds Dead, Excision, and Kid Cudi. Favorite song currently is either Ninety by Jaden Smith, Love$ick (feat. A$ap Rocky) by Mura Masa, or Nights by Frank Ocean. 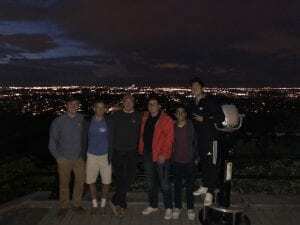 Senior Trip to Montreal, Canada. 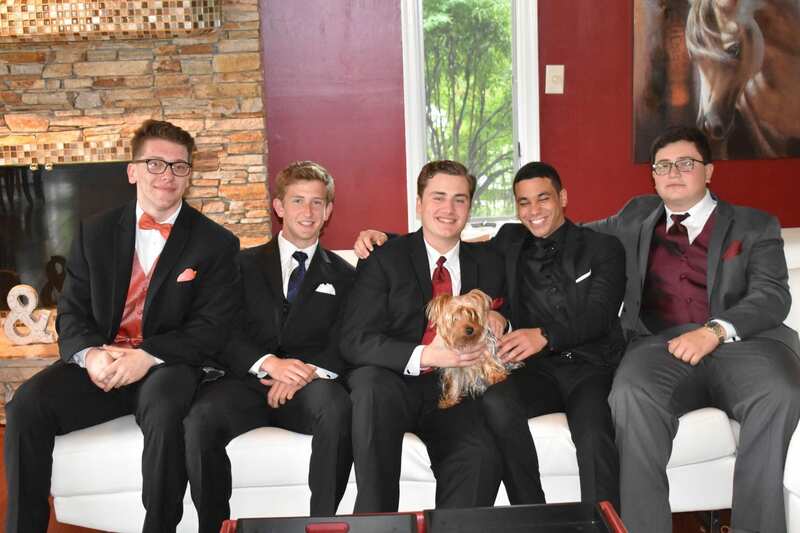 In conclusion, shout out to my Boys back home: Mohamed, Diego, Eric, Ahmed, Dylenn, Riley, Josh, Will and Nick. Hang in there boys, Christmas is right around the corner.